Bersatu chairperson Dr Mahatir Mohamad has acknowledged that Bersatu is a "racist" party, in that it only limits core membership to bumiputera. However, Mahathir stressed that this did not mean the party was against other parties that are not race-based, such as fellow Pakatan Harapan component members PKR, Amanah and DAP. "We know Bersatu is a racist party, the party is limited to bumiputera, including the Malays," he was quoted as saying by Astro Awani last night. The prime minister said this during the launch of Bersatu's Sarawak chapter yesterday. 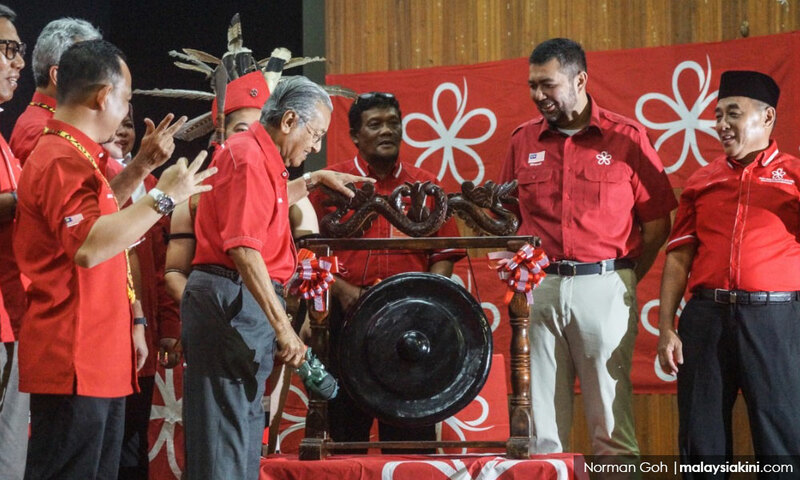 Although Bersatu limits its main membership to bumiputera, non-bumiputera are allowed to join as associate members, but are not permitted to contest or vote in party polls. 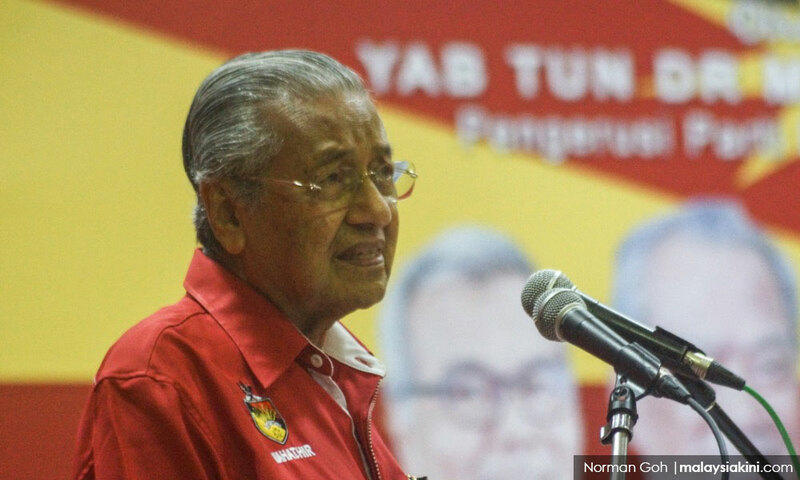 Mahathir explained that Bersatu restricted its membership as it was felt that only bumiputera could defend their own rights. "The bumiputera realise they are not comfortable with the (current) living standards, development. "That is why they still think that only bumiputera can fight to protect their own rights," he was reported as saying. Formed in 2016, Bersatu was established to mainly take on Umno, which Mahathir helmed for 22 years. However, it has recently received brickbats for accepting former Umno leaders into its fold who jumped ship following the 14th general election in May. Speaking during the launch in Bintulu yesterday, Mahathir expressed optimism that there was a chance of changing the Sarawak government in the next state election. The state polls are held separately from the general election, with the next election to be held by 2021 at the latest. The state is currently held by the Gabungan Parti Sarawak coalition.